On 27 July 2013, a local newspaper described the Albizia trees in an opening paragraph of a news report in its Top of the News page as "bad boys and scourge of local roads". Obviously, I do not agree to this description. Firstly, just because the branches grew old and drop as part of nature's re-generation process or weather condition does not make the trees bad. When the fallen tree happened to land on someone or someone's property, I am sure it does not do it on purpose. The tree does not move but people and properties do move. The description is probably an overkill. As if this accusation was not enough, a week later on 4 August 2013, an editor used up half a page of the same local newspaper to coin a term "Falling Tree Anxiety" to describe her fear of fallen trees. Again, the article linked this fear to the Albizia trees though it did mention the rain tree (Albizia saman) as well. It also questioned the people that deal with the health of the trees on whether they are ready to manage or predict fallen trees. I was quite disturbed by this one-sided opinion of putting a bad light on the Albizia trees and casting doubt on the ability of the people who have been trying hard to balance the needs for greens and safety of the inhabitants that happened to enjoy the greens. Really, is there anything wrong with the Albizia tree? Unfortunately, the trees cannot articulate their thoughts on this accusation. The botanical name of Albizia Tree is Falcataria moluccana. 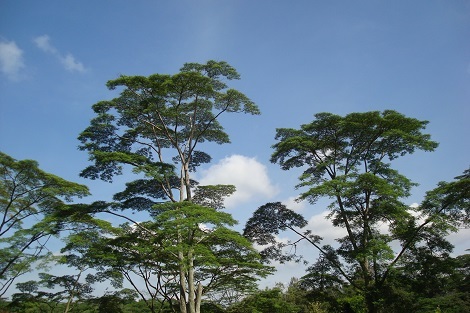 It is the fastest growing imported tree species in Singapore and naturally, it grows older faster than the other trees. It is naturalised and sprout spontaneously across the island without requiring human intervention. 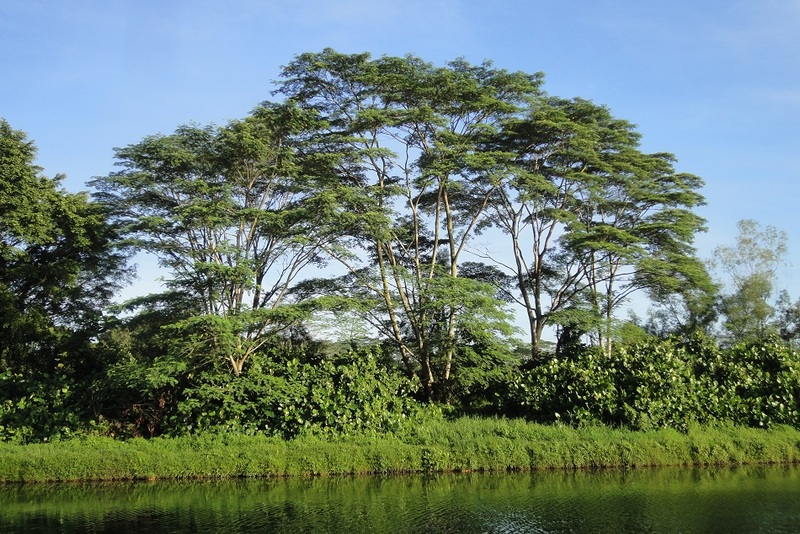 Unlike the other human-planted trees that grow slower and get haircut frequently, it is not surprising that Albizia Tree fell more frequently, whether based on actual study or perception. Tree falling is part of a nature phenomenon, just like thunders and lightning. We have to accept that trees are part of nature and they do have the right to occupy a spot on this land. Not to forget that they are contributing to our oxygen supply. When we are enjoying the beauty of the trees and the inhabitants that reside on them as part of our anti-depression therapy in this fast-pace society, we should not be so quick to label them as villain just because some part of its body fall on us or on our property. So, while we enjoy the tranquillity and the peacefulness that nature provide us, let us be more tolerance to the trees, a very important member of the nature family that include us humans. We probably should be thinking about how to live well with nature and love nature rather than creating a new "Anxiety" as if nature is the cause of this illusive anxiety. I believe a responsible newspaper should try to offer a balance view of issues such as the benefit of the trees or get people to know the more about trees. Accident do happen and we simply cannot prevent every single mishap. Furthermore, there has to be a balance on the consequences of preventive action and whether it make good sense. According to the news report, 4 people had unfortunately died and 62 injured as a result of fallen trees over a period of 10 years. To put the numbers in a more balance perspective, just compare it with traffic accident. Do we have as many trees as vehicles on our island --- maybe? How many fatal accidents on the road do we have over 10 years compare to that from falling trees? 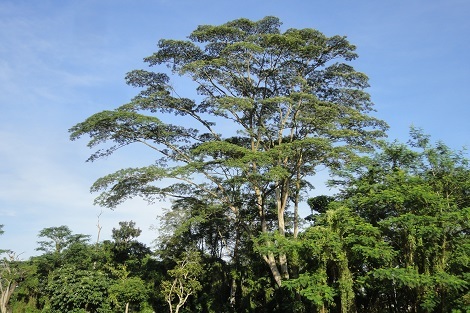 Back in 2008, the Bird Ecology Study Group had already urged the involved parties to leave the Albizia trees alone when they are not causing any danger. There is no need to create another hype to threaten the survival of these trees. It is fine to remove some trees when required but there is no need to label it as a bad tree or invent a new "Anxiety" over a natural phenomenon. Hopefully, the newspaper or author is not creating unnecessary "Anxiety" over a population that is already plague with all kind of anxieties.